Actor Ji Jin Hee and the young singer IU were shooting the posters for prevention of school violence. 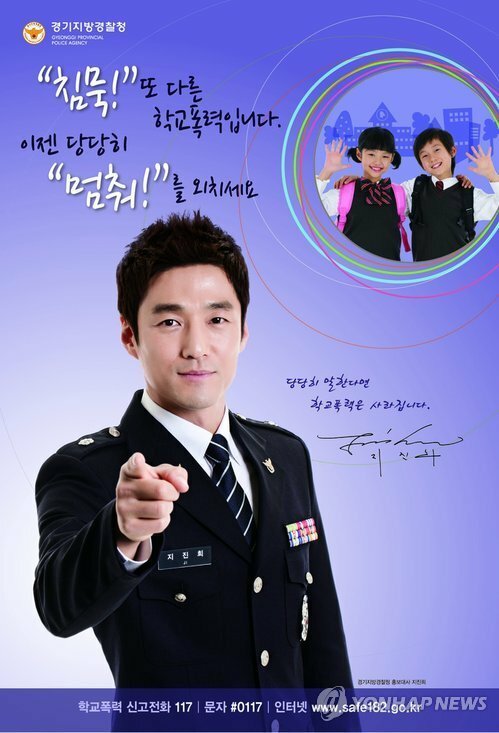 The police department of Gyeonggi-do officially released the promotional posters for prevention of school bullying and school violence that are featuring actor Ji Jin Hee and young singer IU. There are 4 types of posters which are making their way to publish in elementary school, middle school, high school and other educational institutions, in the hope to strengthen the prevention of school violence. The public relations office of Gyeonggi-do police department said that by using actor Ji Jin Hee and singer IU who are well loved by everybody to participate in publicity, it's hoping that the kids can understand the seriousness of school violence, and can respond positively in order to achieve the effect of strengthening the prevention.